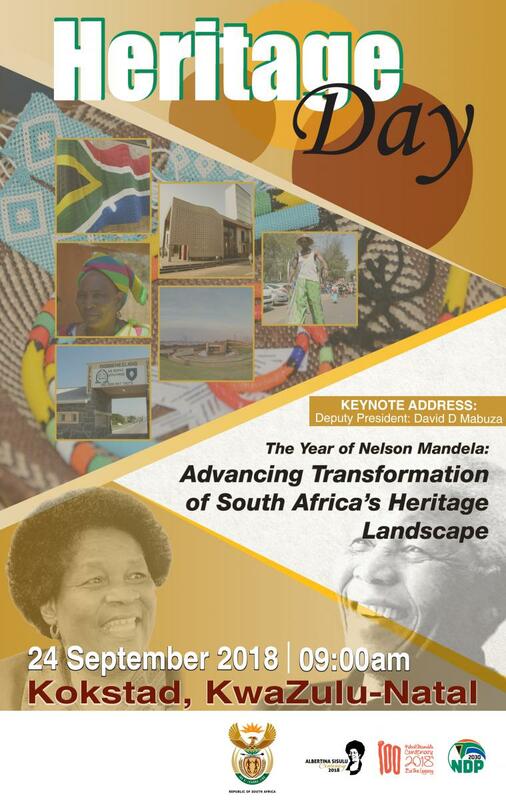 The celebrations over Heritage Month consists of the active participation of museums, galleries, libraries, archives, community art centres to highlight the importance of transformation of the heritage landscape. South Africans are encouraged to visit these institutions to contribute to their sustainability and relevance in addressing societal problems. Citizens are also encouraged to participate in community dialogues which will be held at these heritage institutions.